Enjoy our reviews of the latest our vibrant, creative fashion industry has to offer. From up-and-coming new talent, to our most celebrated bridal couturiers, we exclusively review Australia's finest designers. From vintage to contemporary, romantic to edgy and everything in-between, you are sure to find the gown that will make you the 'star of the show' on your wedding day! South Australia’s destination evening wear boutique showcases a stunning selection of formal gowns, cocktail wear and an extensive bridesmaids’ collection. 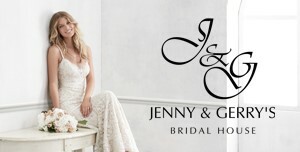 Tuscany Bridal is Perth’s most recognised choice for bridal wear with the latest styles from simply elegant to intricately stylish.